Funny how the universe sometimes lines up and minds think alike, isn&apos;t it? Guiding Light is in the thoughts of a lot of people these days. Bloggers, soap journalists and industry watchers — not to mention the writers, cast and crew of GL — are all on pins and needles about this 72 year old institution. The writing has been on the wall among commentators on the Internet and in the soap press for some time regarding GL&apos;s maybe/probably/likely cancellation, which would essentially signal the final march along daytime&apos;s trail of tears as the end of the genre. The signs are obvious and ominous: GL has been hovering at a 1.5 rating for the last few months, a situation exacerbated by a genre-crushing free fall in advertising revenues, which have in turn led to massive budget cuts by the networks for all the shows. If GL doesn&apos;t get its act together by the Ides of April, as our own Jamey Giddens so aptly put it, the oldest series on broadcast television will bite the dust. However, there is hope. As has been reported here, Guiding Light needs the minimum of a steady 1.8 rating to avoid getting the ax. 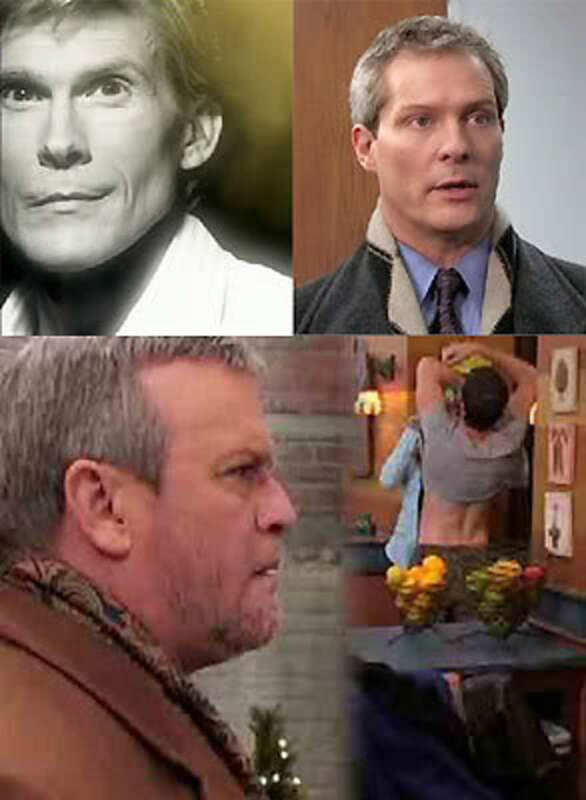 Back to minds thinking alike: Just as I was finalizing this list, Mr. Giddens posted his "Top 10 Last Ditch Stunts To Save Guiding Light," followed by Spauldingfield&apos;s awesome GL promo posted by Luke Kerr. 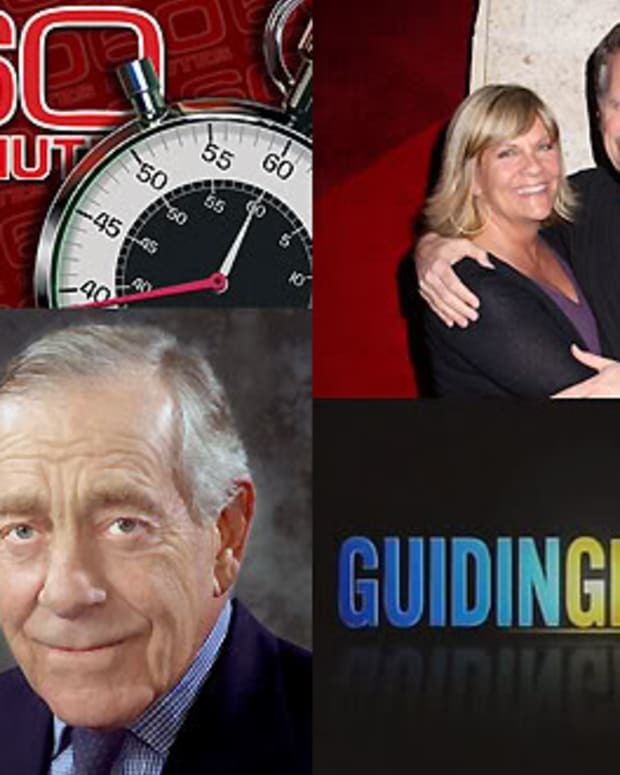 Because of their excellent efforts I almost decided to not post these recommendations, but the situtation at Guiding Light is so important to those of us who love the show that I felt it was more important to contribute to the call to keep GL on the air and risk repetition than not do so. Therefore, consider these considerations an addition to their efforts. GL needs viewers not tomorrow, but today and here are ten reasons to tune in right now! 10. THE "NEW" PRODUCTION MODEL HAS IMPROVED TREMENDOUSLY: If you are one of the many viewers who turned off The Light because of GL&apos;s much criticized new production model, the news is very good. The shaky camerawork has been all but done away with and there are no more shots up actors&apos; nostrils. The music score is less third rate James Blount/The Fray and much more traditional soap music. The lighting is much better. Capping it off, there is a better balance between studio work and on-location shots in Peapack, New Jersey. Yes, the show still looks and feels somewhat claustrophobic and there are still inexplicable shots of people meeting in the oddest places for conversations, but these issues are becoming a bit more of the exception than the rule. Many viewers will always hate the current production model, but in all fairness it is a great deal better and far more watchable than it has been since its inception. 9. REMY & CHRISTINA: For those who lament the loss of "love in the afternoon," GL&apos;s Remy & Christina are a return to an almost old-school, sweet love story of two people who fell into love, except told in reverse. They got married in a drunken stupor and disliked each other intensely and have been slowly falling in love ever since despite their wacky attempts at getting a divorce. The icing on the cake is that it is very rare to see two characters of color have an actual love story where they have to basically get over their own personal issues as opposed to outside forces. Karla Mosely may not be everyone&apos;s cup of tea as an actress, but she has improved steadily and quickly with a nice little flair for comedy as the quirky Christina. Meanwhile, Lawrence St. Victor is not only an extremely handsome man, but he has grown tremendously as an actor and has infused Remy with a sweetness and vulnerability which emerged during the Baby Max story. They are not General Hospital&apos;s "Spixie" any means, but Remy & Christina have become a pleasure to watch. 8. THE BRAT PACK IS DISAPPEARING: If you hate/hated Daisy (Bonnie Dennison), Rafe (EJ Bonilla), Ashley (Caitlin Van Zandt) and Grady (Kane Manera), your wish is being granted as some or all of the them reportedly have been let go. Although their characters are still on the show for now, there has been a massive reduction in airtime for all of them. My personal opinion about some of the actors and characters is not as negative as many (as I chalk up their relative failure or success to wildly inconsistent or repetitious writing), but like Bill Clinton, I feel your pain. Hasta la vista, Grady! 7. KIM ZIMMER: If the term "living legend" has any meaning in daytime, Kim Zimmer ranks among the genre&apos;s top tier of actresses deserving of the moniker. Zimmer&apos;s Reva has had some amazing storylines through the years, but just as often elephant turds of plot, too: breaking up illegal alien smuggling rings and walking through Civil War paintings, to name a few. (On the other hand, I think I was one of the four people in the universe who really liked the clone story. Sue me.) No matter what has been thrown at Zimmer, she plays each story with gusto. Since Reva moved to Peapack, Zimmer has infused her with a sense of mischievousness and fearlessness not quite seen since the fountain splashing days of yore. Zimmer isn&apos;t shimmying into size 0 dresses these days, but menopausal, pregnant 50-ish Reva with leukemia is really the indominatable Reva with heart and soul we&apos;ve loved for years, frozen balls and all. 6. REALISM NO LONGER MEANS WATCHING PEOPLE UNPACK GROCERIES OR FOLD CLOTHES: One of the biggest blunders that Ellen Wheeler made when she first spearheaded taking GL into its current production model was to mistake mudanity for realism. For the first several months, viewers were treated to endless, soul sucking, brain numbing scenes of Harley (Beth Ehlers) paying bills, Daisy balancing on cement walls, and various characters sitting on that one solitary park bench that seemed to show up everywhere from the edge of a park clearing to the middle of Cedars. Then there was poor Cassie (Nicole Forester) forever stirring soup, putting away groceries or, yes, folding clothes. Somewhere along the way, Wheeler and then-sole head writer David Kreizman failed to grasp that realism on soaps is about creating a relatable fictional world that we can imagine exists in the real universe, not showing dynamic characters struggling to balance checkbooks when their children are heirs to huge fortunes. Thankfully, those kinds of scenes are few and very far between these days. 5. VETS, VETS, and VETS: Soap fans love their vets and long term players and GL has a ton of them on the air almost every day. Some are sadly (even tragically) underused like Michael O&apos;Leary (Rick), Jordan Clarke (Billy), Marj Dusay (Alexandra), Maeve Kincaid (Vanessa), Elizabeth Keifer (Blake), Tina Sloan(Lillian), Kurt McKinney (Matt) and Yvonna Wright (Mel). This state of affairs is mainly due to budget considerations, but credit must be given to the fact that unlike some other soaps, these great actors are not just dragged out for the obligatory funeral or holiday, but are given meaty scenes and significant interaction with the main contract cast. Many times, these are vets used as catalysts for stories instead of parked at a restraunt table for mere decoration. 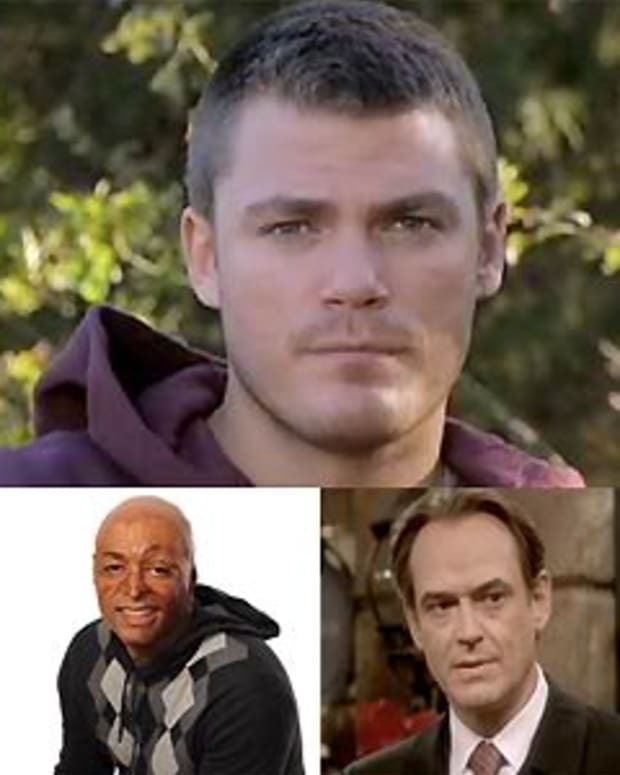 In addition, the majority of GL&apos;s primary cast contains a deep bench of actors in their late 30&apos;s, 40&apos;s and 50&apos;s who drive the bulk of the show&apos;s stories. 4. BILL & LIZZIE: One can&apos;t add too much to what has been said about Bill & Lizzie that hasn&apos;t been agreed upon nearly unanimously since they became GL&apos;s most prominent romantic pair. Daniel Cosgrove and Marcy Rylan share that secret sauce that borders on magical, as close to Guiding Light has come to a young Josh & Reva, the much missed Danny & Michelle and, yes, Gus & Harley in many years. Sacrilege to Gush fans, I know. What hasn&apos;t been remarked upon as much is how their story is the quintessential, classic soap story of tortured lovers trying to come together despite their own flaws and neuroses, misunderstandings and outside road blocks and a blizzard of inconvenient plot machinations. Yes, Grady&apos;s original kidnapping of Lizzie was a bit of a joke, but the subsequent framing of young Mr. Lewis for the crime has taken the plot holes and mistakes in the writing of the former and woven it into a noose-tightening tale within the narrative of the latter for the amnesiac Bill. Some might find this state of affairs tiresome in this day and age, but for the fan who likes their soap lovers of the star-crossed variety, Bill & Lizzie are the "It" couple of daytime. 3. OTALIA: It&apos;s no secret that the potential romantic pairing of Olivia & Natalia has many GL fans buzzing with joy and for good reason. What fans are responding to is the fact that the chemistry between Crystal Chapell (Olivia) and Jessica Leccia (Natalia) is off the charts! Not only that, but their story — "complicated friendship" or potential love interest, whatever label one slaps on it — has been organically building for about a year, following Gus&apos; death and subsequent heart transplant to Olivia. It also makes an interesting bit of sense for these two women, whose lives have been wrapped up in men, to fall for each other: Olivia has been an incredibly self-destructive force in her relationships and Natalia has had good reason to suppress or not even know her feelings because of her religious beliefs. What really makes this story sing is its true secret weapon: the absolutely adorable, dynamite Jaqueline Tsirkin who plays Emma Spencer, the daughter of Olivia and the soon-to-be returning Phillip Spaulding (Grant Aleksander). This young actress is a better performer than many grown actors on daytime! With her wide eyes and easy smile, Emma&apos;s cheering for Olivia & Natalia anchors the two women as a couple and let&apos;s us cheer for them, too. Given that the few gays & lesbians on daytime are somewhat younger than Olivia and Natalia and with Frank (Frank Dicopoulos) hovering to complicate matters, there is a wonderful opportunity to tell this story from the point of view of two mature women who discover who they are inside and what they mean to each other. If I were Ellen Wheeler, I would have Otalia snorkeling every other day! 2. DINAH & SHAYNE: One of GL&apos;s most grievous errors in recent years has been the dissolution of the wonderful Taming of the Shrew love story of Dinah & AC Mallet. The great Gina Tognoni and Robert Bogue, one of the genre&apos;s most unfairly underrated actors, shared fantastic chemistry and gained a large and loyal following. Unfortunately, over the last couple of years GL went its usual route of breaking up almost every popular couple on the canvas and, like the rest of them, Dinah and Mallet were torn asunder by dodgy storytelling and even dodgier motivation. Fortunately, closing that door provided the opportunity for another to open: enter the magnificent Jeff Branson as Shayne Lewis with an injury, an attitude, and a secret. The interesting thing about Shayne & Dinah is that theirs is also a classic soap tale, this being the love of a woman helping to heal a broken man. The twist here is the woman is consciously trying to heal her own emotional wounds in the process. Shayne & Dinah&apos;s first kiss on the edge of a pool table was as an electric moment of emotional and sexual chemistry as has been seen on daytime in quite some time. The sparks between these two could automatically upgrade every TV in America to a high definition signal, no converter box required! The announcement of the appointment of GL&apos;s four person headwriting team was initially met with snickers and outright derision, but the dividends have been paying off for quite a while now. Stories now have momentum. Characters have more consistency. Human drama has been reintroduced into the equation. Most episodes are decent; the few clunker shows have at least two or three scenes that are well-written and acted. Many of the better stories and couples have been referenced in this list, but there are other reasons to tune in. The end of Coop&apos;s (John Driscoll, who has been giving his best performances since coming onto the show) soon-to-be disastrous affair with Beth (the radiant Beth Chamberlain) has been awesome as Alan (Ron Raines) reels from the discovery. Jeffrey&apos;s (Bradley Cole) attempts to reign in the always defiant Reva while accepting her for who she is true to the characters and has been a refreshing change of pace from the frequently judgmental ways of Josh. Even the GL&apos;s most boring couple, Mallet and Marina (Mandy Bruno) have been enlivened with real life human drama by dealing with medical issues and deciding to adopt a child (there is a plot hole in this story the size of the Spaulding mansion but we can overlook it for now). Finally, the much documented returns of Edmund Winslow (David Andrew MacDonald) and Phillip Granville Spaulding have many of their fans buzzing like busy little bees! Is Guiding Light awesome soap opera right now? No. The filming style still needs more work. The sets are still smaller than we&apos;re used to or would like. The editing could be a lot smoother. The show could utilize far more of Peapack than a deserted road or that one spot by the pond. The writing still needs fine tuning. We are still tortured every day by that damnable theme song. Nonetheless, the show is massively improved in many areas and if you don&apos;t like a couple of stories, there are others to grab onto. The writers are actually writing story and, it cannot be stressed enough, the actors are giving it their all. Jamey, as well as several Daytime Confidential podcast contributors, have been pushing an informal "Vote with Your Remote" campaign, specifically against Days of Our Lives for many of its questionable choices of late. If I may borrow a page from his always brilliant playbook, the way to save Guiding Light is to vote with your remote for the show by tuning back in if you have left the show and checking it out if you are a new viewer. There is a lot of merit in the fans&apos; suggestions to the writers and producers about how The Light might avoid disconnection and possibly even thrive in this environment. In fact, I&apos;ve tried in several of my blog posts to paint the most positive picture of a dire situation regarding GL&apos;s potential for survival from a variety of perspectives. Nonetheless, most of our suggestions are a little beside the point right now. At the end of the day, this boils down to how many people tune in right now and for the next several months going forward as GL&apos;s fate is decided by the powers that really be. 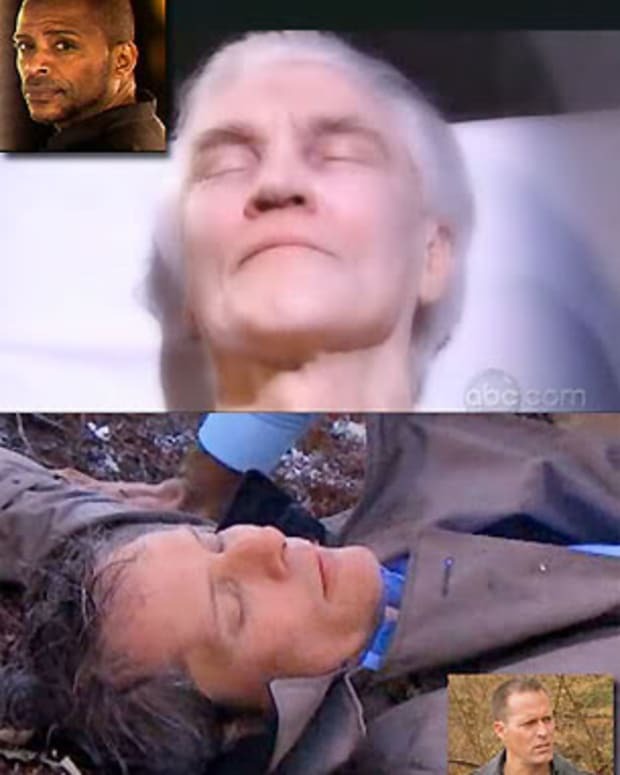 Love alone might not save the world, but our love for Guiding Light just might save the show.